There are 11 upcoming IPOs this week, marking another busy week on the IPO calendar after last week's 15 initial public offerings. This week is also on the busier side as several public offerings that were initially scheduled for last week were postponed until this week. 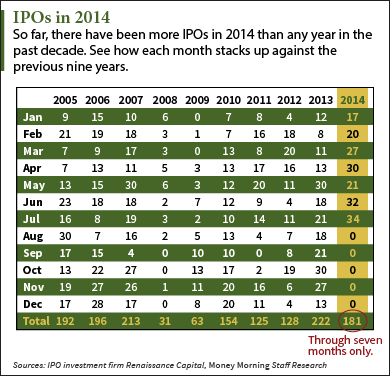 Originally, 22 IPOs were scheduled last week, and only 15 companies ended up holding public offerings. Here are the 11 IPOs that are expected for the first full week of August, and the details of each deal. Ryerson Holding Corp. (NYSE: RYI) is one of the largest processors and distributors of metals in North America. Through its IPO, Ryerson plans to raise $204 million by selling 11 million shares at a range of $17 to $20. RYI reported revenue $3.4 billion in the last year, and is expected to have a market value of approximately $593 million following the initial public offering. This is the second time that RYI has planned an IPO. In 2010, the company set the terms for an IPO at a valuation of $1.2 billion but didn't end up going public. RYI is planning to make its debut on Thursday, Aug. 7. Höegh LNG Partners LP (NYSE: HMLP) is a liquefied natural gas company that owns three floating storage and regasification units. HMLP is looking to raise $192 million by offering 9.6 million shares at a $19 to $21 range. Following the IPO, HMLP is expecting to have a valuation of $526 million. In the last year, Höegh had revenue of $41 million. HMLP will begin trading on Thursday, Aug. 7. 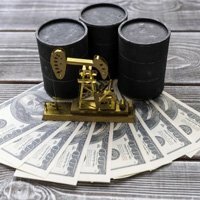 Independence Contract Drilling Inc. (NYSE: ICD) is a contract drilling services company that works with oil and natural gas producers. ICD plans to raise $150 million by offering 10 million shares at a $14 to $15 range. ICD had revenue of $48 million in the last year and is expected to have a market valuation of $346 million. ICD will begin trading on the New York Stock Exchange on Thursday, Aug. 7. Money Morning members, keep reading for the remaining eight companies that will be holding IPOs this week…If you aren't a Money Morning Member, sign up now for instant access to this list.